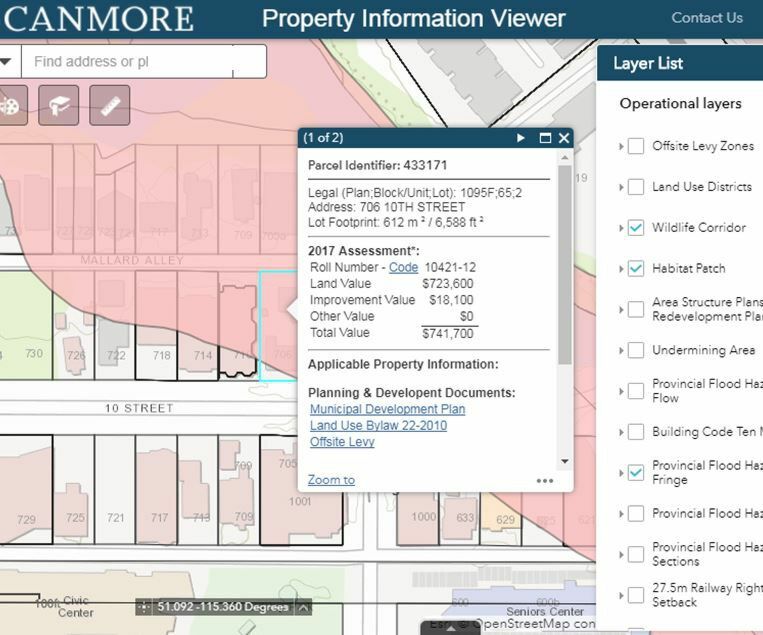 Town of Canmore – Caslys Consulting Ltd.
Caslys contributed to the Town of Canmore’s goal to increase public involvement and stakeholder consultation using web-based content and flexible online mapping platforms. By customizing an Esri ArcGIS Online implementation, Caslys provided tailored web products well-suited to increasing public participation and maintaining transparency of services for the town’s various departments. This project included the development of a web-GIS gallery viewer that allows the public to browse the various mapping applications in an integrated webpage; which, in addition, contains links to static map content. Also included were considerations for tools that allow for public input from desktop or mobile devices. Through dynamic online mapping services – such as StoryMaps – Caslys facilitated more creative displays of cartographic information, which also provided the background and supporting information behind many of the mapped datasets. Caslys delivered customized online map products that were successful in displaying spatial information in an accessible format to support increased awareness of guidelines that impact property development. Engaging and informative online material suitable for various audiences was achieved through the development of an online map, containing multiple avenues for public participation and data exploration.